Many students opted to have a “Greener Summer” by continuing their studies with a wide variety of summer programs. From harvesting on the farm, to creating neon art, and building robots. Enjoy the photos and these last few days of summer before we begin a new school year on September 25! Students work in the fields at the Organic Farm. Students work in the greenhouse at the Organic Farm. Students make bouquets at the Organic Farm. Students create pieces in the campus neon studio. Students in the program Physical Computing: Robotics, 3D Printing, and Ardunio show final projects. 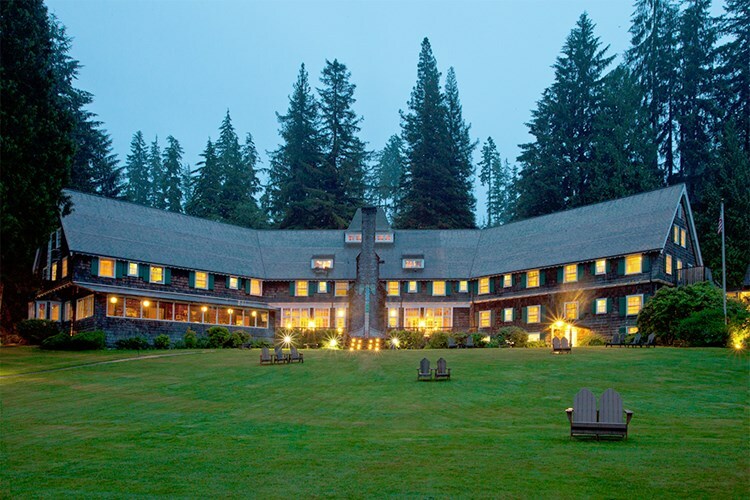 Don’t miss Return to Evergreen November 3-5, 2017! 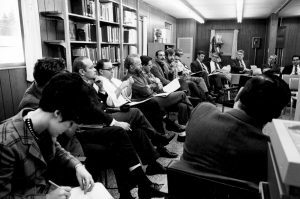 Internships transform classroom learning to experiential learning. The sun was shining last Monday on the first day of Spring Quarter as students and faculty returned from the break. As the weather warms up, many students’ minds turn towards summer plans and landing an internship. For many, internships form the crucial bridge for transforming classroom learning to experiential learning and ultimately, their first job. Last spring, Bre Pettis ’95 coordinated with the Alumni Programs Office to offer an exclusive internship opportunity for Evergreen students at his new business venture, Bre & Co. Read more in The Evergreen Magazine. 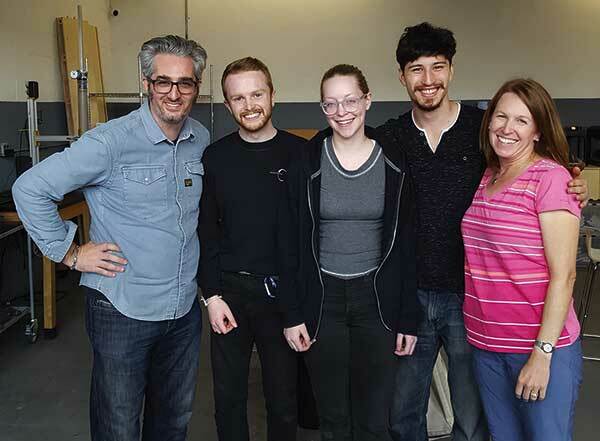 Bre Pettis ’95, Val Shamma ’16, Frances Lilliston ’17, Nick Boelk ’16, and Keri Carkeek ’92, chair of The Evergreen State College Foundation’s Board of Governors, at the Bre & Co. workshop. If you’d like to enlist help from an Evergreen student intern at your place of work, contact the Assistant Director of Internships and Employer Development, Kevin Andrew at andrewk@evergreen.edu or (360) 867-6189. Didn’t receive your copy of The Evergreen Magazine? Update your address here and we will make sure to send you one! Olympia and Evergreen were at the epicenter of a history-making independent music scene in the 1980s and early 1990s. Whether you performed in a band, did spoken word, were involved with KAOS Olympia Community Radio, recorded music, created a zine, made flyers, attended all-ages shows, documented happenings, or organized shows and festivals, the world took notice. You were participating in and transforming the culture – a revolution was taking place! You won’t want to miss this limited time exhibit and exclusive alumni event happening on Saturday, April 22! 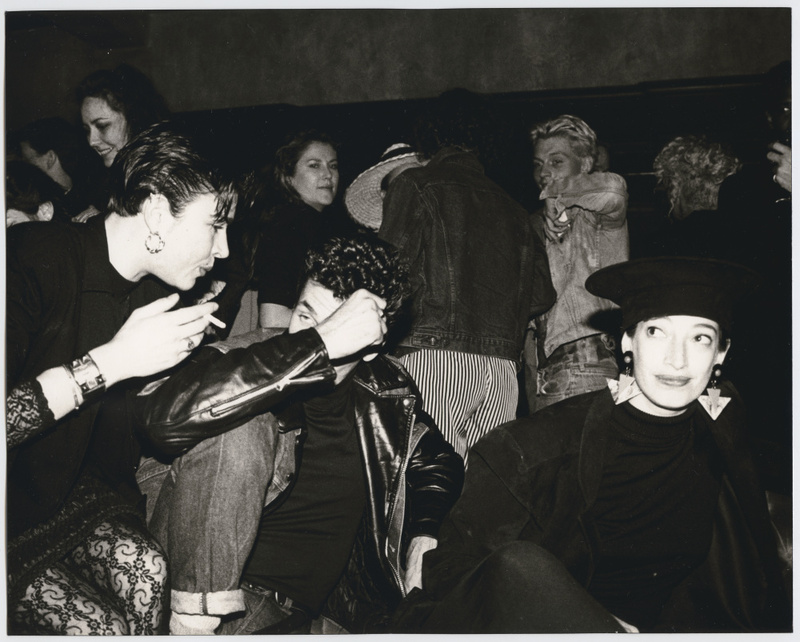 We’re thrilled to invite you to the Washington State History Museum to catch up with old friends, view the exhibit, and join former KAOS DJ Diana Arens as she interviews more than a dozen Evergreen alumni who made an impact on the scene. Chris “Sandman” Sand in the A Revolution You Can Dance To exhibit. Buy tickets now to reserve your seat! And learn more about the Revolution You Can Dance To exhibit here. 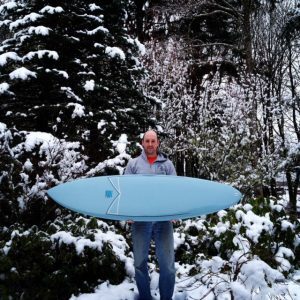 Gaelen Fechner ‘95 lives by the philosophy, “Do what you love.” Gaelen discovered his passion for surfing by age 9 and now lives in Olympia doing exactly what he loves: surfing and shaping surfboards for his company Machine Surfboards. Gaelen also runs the newly opened Fleurae Floral with his business partner, best friend, and love of his life Carissa Rose Dickson. We had the pleasure of meeting with Gaelen to talk about how Evergreen has influenced his life. 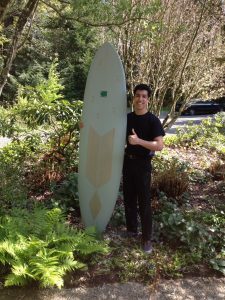 Author Andrew Ayala with his new Machine Surfboard. Andrew: Think back to Gaelen before college. What were you expecting from Evergreen and what were you planning on doing with your life at that point? Gaelen: Well, I knew from the very beginning I was going to go to Evergreen, no doubt in my mind. My parents were not the conventional type, they always encouraged me to question everything and to think on a deeper level… to never just accept something for what it is. I didn’t even apply to other colleges. When my parents found out I got into Evergreen they were so excited. I knew exactly what to expect from Evergreen, I knew about the open curriculum and the small classes and my family and I just knew it was a perfect fit. When I went to Evergreen I had no idea what I wanted to do so I just went in with an open mind. 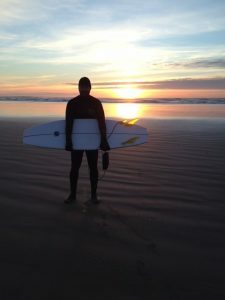 Gaelen Fechner enjoying the sunset after a long day of surfing. Andrew: How did Evergreen shape you as a person, and how did it prepare you to be an entrepreneur? Gaelen: Evergreen gave me a model for life, and that model was “learn how to learn.” Evergreen’s open curriculum also taught me how to adapt to life’s changes. While I was at Evergreen I also learned to take risks. How is anybody going to change anything or make things happen without taking risks? Andrew: Evergreen has a reputation for encouraging cooperation rather than competition. What did you get out of that? Gaelen: Well, I learned how to communicate and make connections with people. How can you not when you’re in a classroom that only has twenty to forty people in it? This classroom setting really allowed us to learn and exchange knowledge because at the end of the day, we are all different people with different backgrounds and we all have so much to teach each other. Everybody’s insight is valuable. Another thing is being an artist. The adventure that art can take you on is amazing, you learn about yourself and you get in your zone… but you are by yourself a lot. So the question arises, how do you connect with people and get your art out there? Well, artists depend on each other and on the community to get their work out, and being able to communicate is very important. 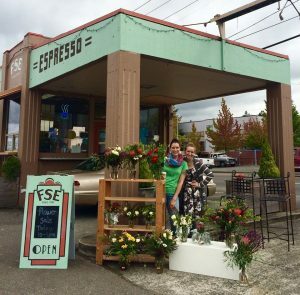 Gaelen’s wife Carrisa Rose Dickson(on left) and business partner Iana Marie Franks(right) displaying their flowers for the first time ever outside Filling Station Espresso. Andrew: What were you known for around campus? Gaelen: Oh the surfer kid definitely! I used to pick classes that started later so I could go surf before class. I remember rushing to class tired and cold. It was great to go to school, do my work, and still be able to do what I love. Andrew: What was your favorite program? Gaelen: The Mythic Image, I think it was Gordon Beck that taught that one. We traveled through time and explored Greek mythology and other literature. It was the hardest, but the most rewarding. 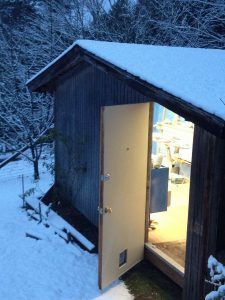 Gaelen’s workshop covered in snow. Andrew: Is there anybody from Evergreen you would like to thank, anybody that had a profound impact on you? Gaelen: I would like to thank Mark Papworth. He was a crazy-brilliant human being. 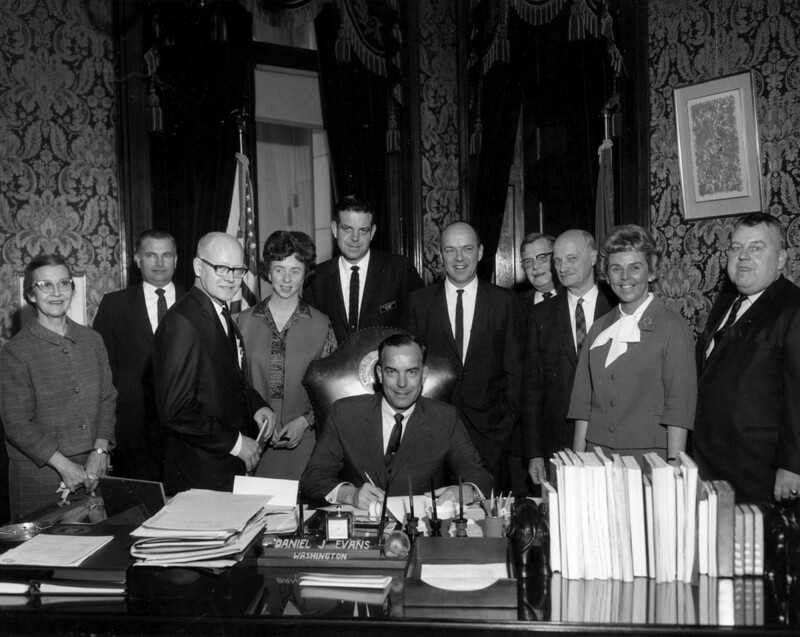 He worked on the Evergreen Task Force that helped find the Green River Killer. He was just a body of experience and knowledge. He was also a great storyteller, one of my favorites to listen to. When I started studying surfboard design he was my sponsor and support. Even though it wasn’t in his expertise, he gave me advice and guided me through it. Gaelen Fencher displaying one of his works of art. Andrew: Any advice for future Greeners? Gaelen: Well I recently met a girl that is going to Evergreen and she said she had no idea if she was doing well or on the right track because she had no grades to look at. A grade is just a number. Evergreen is a place where people look at you as a human being. Your skills and talents are appreciated. Go with it, create your own adventure. Last month, alumna Cathy De La Cruz ’03 appeared on the Actor Hack Podcast. She shared her first impressions of moving to Olympia to attend Evergreen and the challenges (and benefits) of pursuing independent study. She was gracious enough to write an introduction, and you can listen to the full interview here. Before arriving in my dorm room as an 18-year-old freshman in 1999, I had never even been to the state of Washington. I had grown up in in San Antonio, Texas and had only been on an airplane once, my junior year of high school, to visit some family in Missouri. 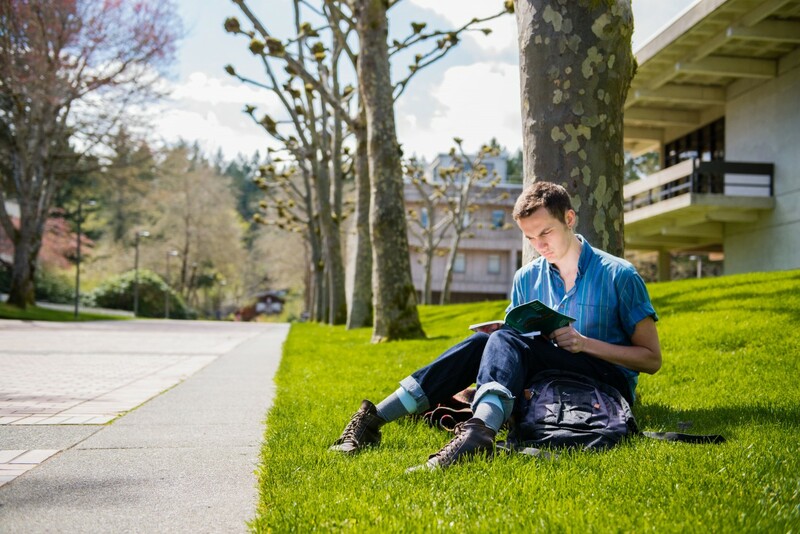 I wasn’t culturally shocked by The Evergreen State College and Olympia (though my parents were) because it was exactly what I had been looking for. To say Evergreen and Olympia were polar opposites from my Catholic school upbringing and large but relatively conservative hometown at the time—would be an understatement. Now as a New Yorker working in publishing and the arts, I was recently interviewed on a local podcast called “Actor Hack” where I mentioned my formative years as an Evergreen college student. Even now, 14 years after graduation, I am truly grateful for the experience. Some of my closest friends also live in New York and graduated from Evergreen. I’m still in touch with my favorite faculty, many of whom are still as supportive of my work now as they were when I was their student. 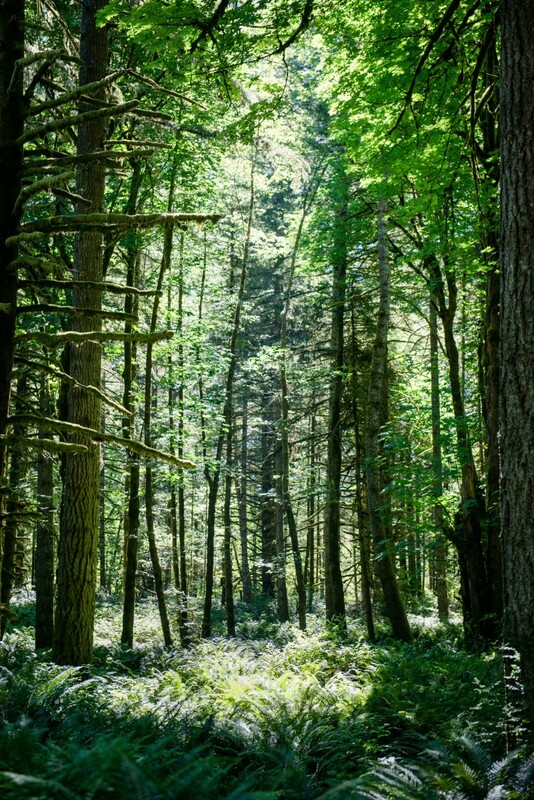 Evergreen is a unique school and in this podcast interview, I tried to give those who don’t know anything about the institution a little background on it. A fellow Greener told me they appreciated what I said about how the best part of going to Evergreen was that you were actually treated like you were an adult, which also happened to be the worst part since in many ways, I was still a kid. But I wholeheartedly believe that is the magic of Evergreen: the freedom you have there. Maybe I learned more about freedom at Evergreen than I did about anything else, but it took me until now to realize that. Hear Cathy’s complete interview on the Actor Hack Podcast here. 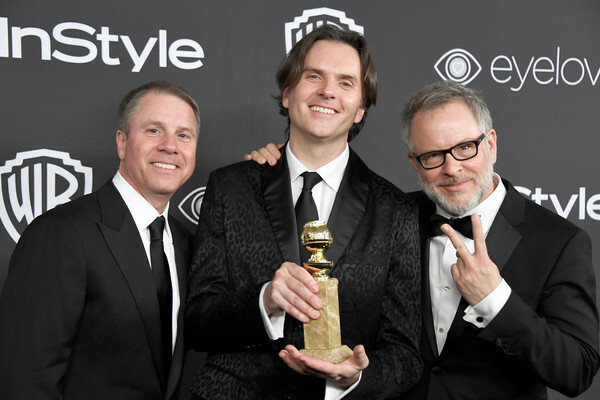 Bryon’s 22-year career with Disney includes directing credits for Bolt (2008) and Tangled (2010). You can watch the full acceptance speech on the NBC website.